Pretty soon one person may be able to tun on and off all the LED street lights in Los Angeles. The plan, announced Wednesday, is to attach mobile chips to the existing streetlights that will connect them all via the city's cellular network. The system will allow a city worker to turn individual lights on or off -- say, to accommodate a film shoot -- and to brighten the lights -- for instance when a sporting event gets out downtown. The new system, which will have GPS capability, will also alert the city when an individual light goes out and monitor each bulb's energy use. And it can all be done through a web browser. "We'll be able to find out if a light goes out right away, as opposed to waiting for someone to call," said Ed Ebrahimian, director of the city's Bureau of Street Lighting. "It's really about customer service." Currently, L.A. can remotely control about a third of its 160,000 LED street lights, but the older system is cumbersome because it lacks GPS capability, said Ebrahimian. The upgrades will start with 15,000 lights and hopefully expand to cover the remaining 95,000 lights not currently networked. Although not part of the current plan, the addition of GPS will eventually allow the lights to be linked the city's 911 system. That could automatically turn the lights on in an emergency, or cause them to blink as a warning to residents. 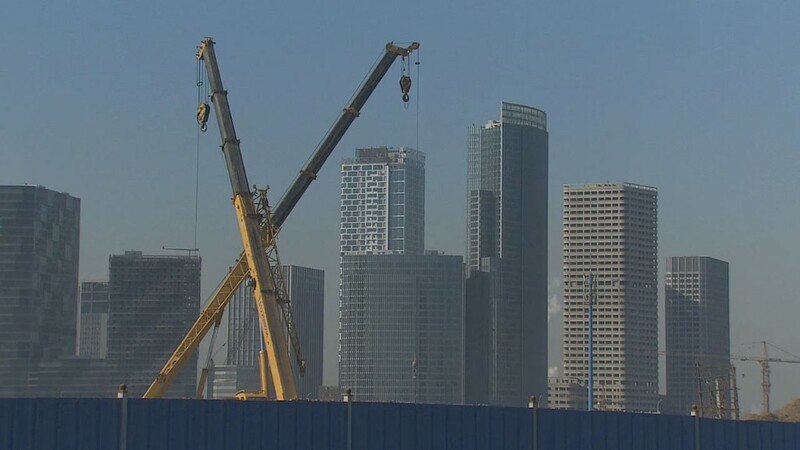 "It opens the door to all sorts of smart city applications," said Ebrahimian. The company supplying the mobile chips, Philips, said the system has banking-level encryption technology and uses cell networks from mobile operators that are more secure than local networks -- which should guard against hackers. If the city decides to install these units on all 110,000 non-networked lights, the entire cost of the project will be around $14 million. It should be complete within the next two to three years, according to the Bureau of Street Lighting. L.A. isn't the first city to remotely control its lights, but it's the first to retrofit its existing light fixtures with the technology, said Silvie Casanova, a Philips spokeswoman. 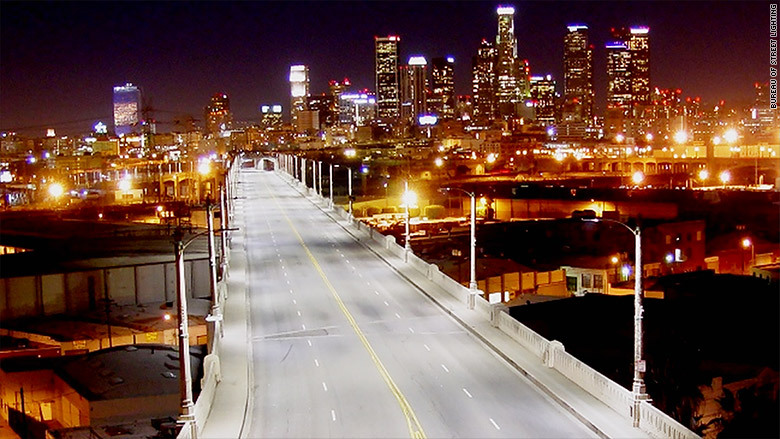 L.A. was one of the first cities to transition to LED street light bulbs. The move has cut energy use by over 60%, and is saving over $8 million a year, according to the city. The lighting upgrade is being done in conjunction with L.A.'s "Great Streets" program, which is designed to make its large and often ugly boulevards more conducive to pedestrian activity. The initiative has also done things like plant trees, build miniature parks and install sidewalk seating. Correction: An earlier version of this story misstated the number of lights that are being initially upgraded and the cost savings from the LED lights.